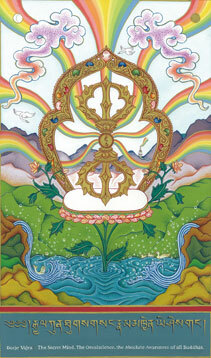 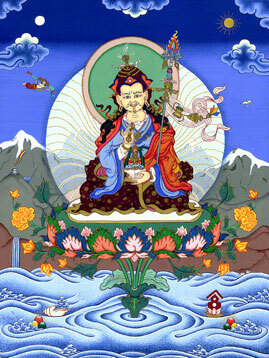 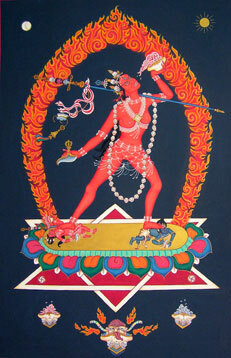 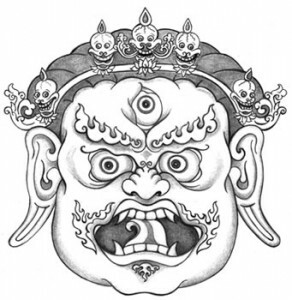 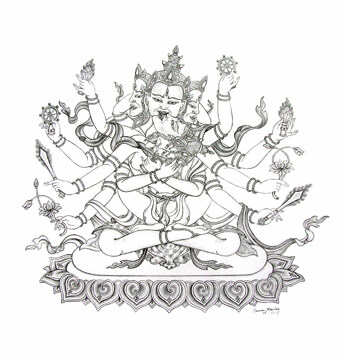 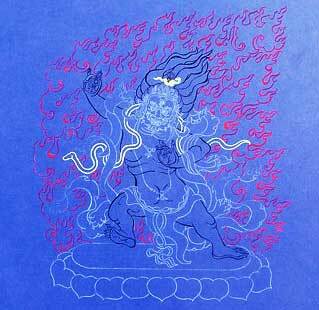 A characteristic feature of Mahayana and Vajrayana Buddhism is the emphasis on wrathful deities: often alternative manifestations of normally peaceful deities. 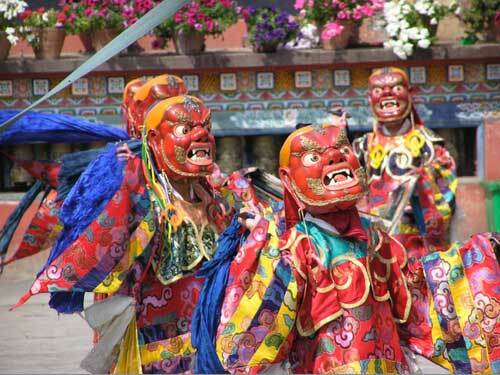 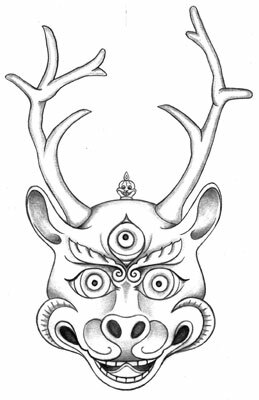 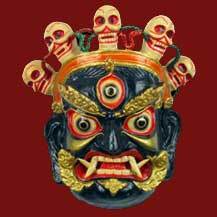 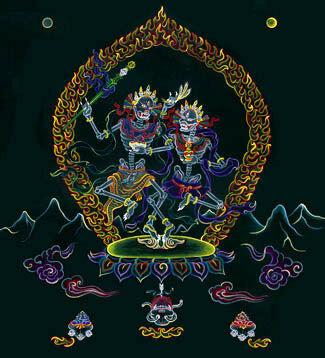 True to their name, wrathful deities in Tibetan art are depicted as fearsome, demonic beings, and often adorned with human skulls. 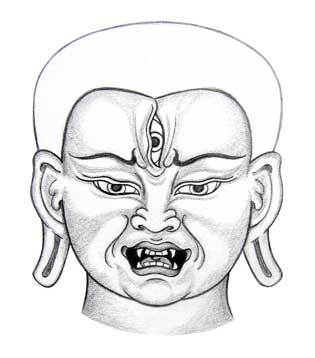 Though these awesome, hair-raising images seem contradictory to Buddhist ideals, they are not just evil or demonic forces. 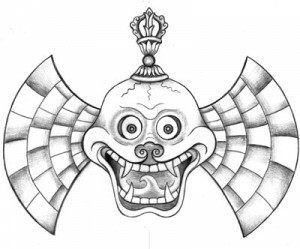 Their aim is exactly the same as the peaceful deities, but the wrathful ones rather symbolize the dynamic activity of an enlightened being, brought forth to tame the unsettling impulses and more negative emotions in the human mind.